Fatherless, he was yet endowed with an innate gift for drawing, and when he was of age, he started art studies at the School of Applied Art in Gia-Dinh where he followed the drawing classes of Jules G. Besson (1868 – 1942), a French naturalist artist. He graduated from this school in 1935 and began a professional career in scene painting for an itinerant playhouse in South Viêt-Nam, then in teaching at Phu-Xuân Secondary School of Huê (1938-1939). On the eve of the Second World War (December 1939), he was mobilized and left for France in the “Travailleurs Indochinois” corps ; he was sent as an interpreter at the National Gun-powder Factory of Angoulême. In this town, he happened to meet Marie Baranger, a fresco painter in Sacred Art, a Maurice Denis‘s student, who encouraged him to pursue artistic studies. After the Armistice, he reached the French free zone and the Sorgues camp where he ran the Artcrafts House of the “Travailleurs Indochinois” Third Legion. During this stay in Vaucluse, he also enrolled at the Municipal Fine-Arts School of Avignon, which was directed by Claude Firmin, a Provence Master painter who became a friend. In 1943, he was transfered to Paris, and this enabled him to attend the courses of the National Superior Fine-Arts School (ENSBA) in Nicolas Untersteller‘s workshop, then later on, in 1945, those of the National Superior Decorative-Arts School (ENSAD). He finally achieved his youth dream, and during this parisian post-war period, he kept close to other artists, some compatriots, but also French and foreign artists. 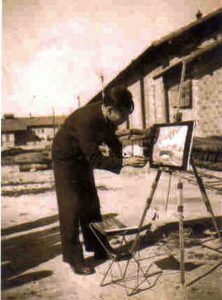 Fully enriched by this experience, he went back to his homeland, thirteen years after his departure, and was appointed at the Fine-Arts School of Hanoï (1952-1954). 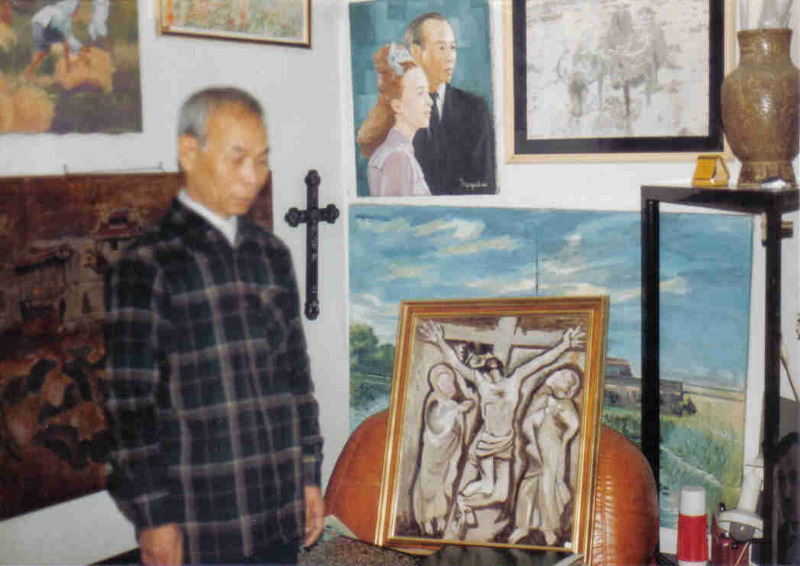 By the end of 1954, he arrived in Saïgon and till 1972, he spent his time creating and exhibiting his works while teaching at the National Superior Fine-Arts School of Gia-Dinh (1954-1964), then at Marie-Curie and Regina Mundi High Schools (1964-1972). 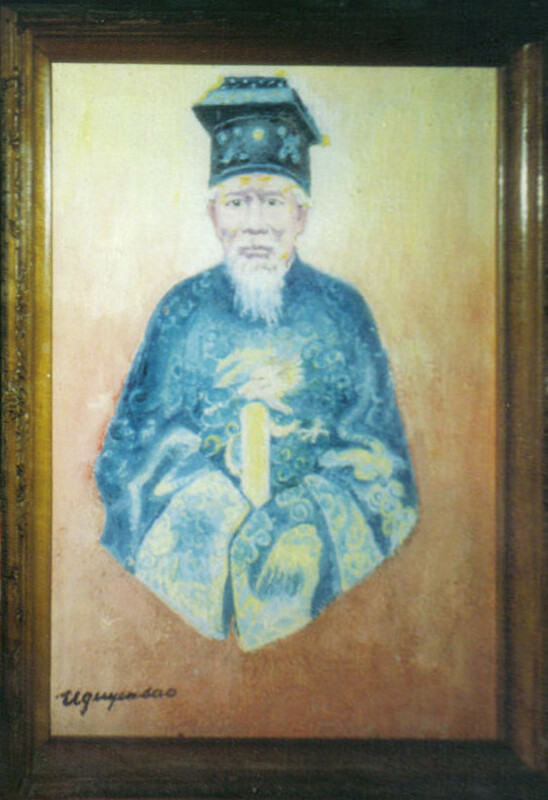 They were the Saigonese years, the most creative ones, during which his artwork attained its utmost plenitude. 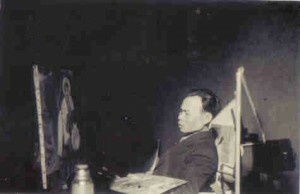 It was during that very period, that he approached the lacquer object as a painting while using natural materials (egg shells, nacre) and respecting the various stages of the traditional technique (see heading on Lacquers) and that he began unveiling his talents as a sculptor. He actually received orders of sculptures, namely the statues of Joan-of-Acre and Saint-Teresa of the Infant-Jesus for the Chapel of Grall Hospital in Saïgon, and on the same premises, the bronze relief stele erected in honour of the doctors, Calmette and Yersin. 1972 was the year of his return in France, where he rejoined his children, and until the last years of his life, he unwearidly went on painting and exhibiting in France and abroad (Italy – Spain – Belgium – Japan). During these first years in Paris, he renewed with the art of engraving, his former training, and he collaborated with a workshop making lacquer furniture as a designer-decorator. In the twilignt of his life, he mainly made pastel drawings, crayons that he used to carry with him when he travelled in France, and above all in Auvergne, his wife’s region. 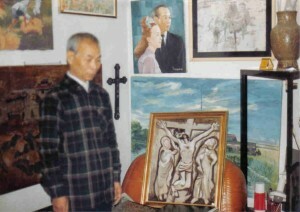 There was an ultimate journey in Viêt-Nam in Summer 1999 ; he saw then, part of his family, his native village and the family temple in Vỹ-Dạ, where some of his paintings are displayed, among them an oil portrait of Prince poet Tuy-Lý. By the late 1990s, he started losing eyesight and gradually stopped creating. He passed away in Paris in January 2006.